I just came across these posters the other day and instantly fell in love with them! 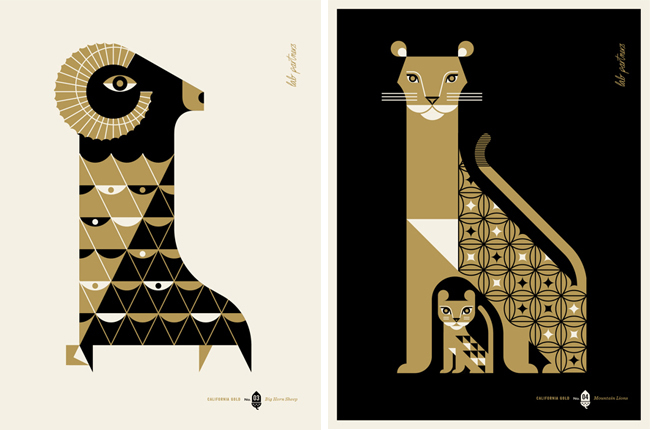 The design duo who also happen to be a husband and wife team over at Lab Partners are responsible for these beautiful prints. 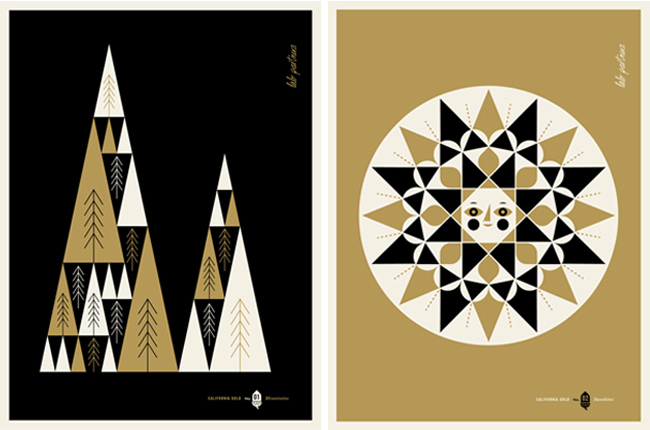 This series is all about California's natural wonders, the mix of gold and geometric shapes are stunning and work so nicely as a series. All five screen prints will be printed with metallic inks. They're not available yet, but I'll definitely be purchasing them when they are!